The is the PIR transmitter for use with the DI2000 series of wireless driveway alarm products. Use this transmitter to add another coverage area to an existing system or replace your current one. I already own this system and just needed an extra "bell" to alert us when visitors arrive in a different area of our driveway. It works great in all seasons and weather! 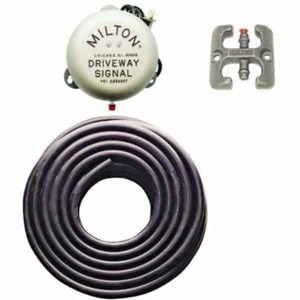 I have tried numerous driveway alarms and this one driveway informer is the one to get. You can have four different transmitters placed along your driveway and have four different tones for each one. My furthest transmitter is 350+ feet from the base station and it works perfect. Highly recommend this model, it’s the one to get. My third purchase so I obviously like the product, and the service. Shipment was received in a timely manner. No problems placing the order. Great product.